Does Vice City live up to expectations? Well, yes and no. The technical aspects of the game, and Rockstar's ambitious commitment to the sandbox style, haven't aged well. If you've played GTA-style games in the recent past, Vice City will seem clunky and simplistic. On the other hand, the games relative lack of complexity works well in the new mobile form factor, and those who are burnt out on the "everything to everyone" style of Grand Theft Auto IV (man dates, anyone?) will appreciate the simplicity. And as a port, Vice City shines on high-powered hardware. 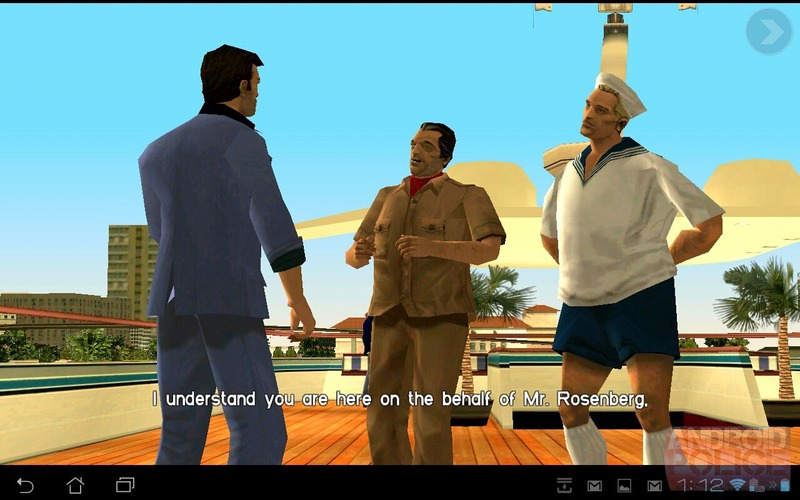 The story of starts with Tommy Vercetti, mafia man who's just been released from prison and assigned to emerging criminal turf in Vice "no, it's not Miami, we swear" City. Players will build a criminal empire by stealing cars, busting drug deals, intimidating less flexible businessmen, and killing lots and lots of people. The story is surprisingly coherent, and plays out like a love letter to Scarface. Voice acting is solid - indeed, the actors and actresses far outclass their digital avatars' ability to express them. 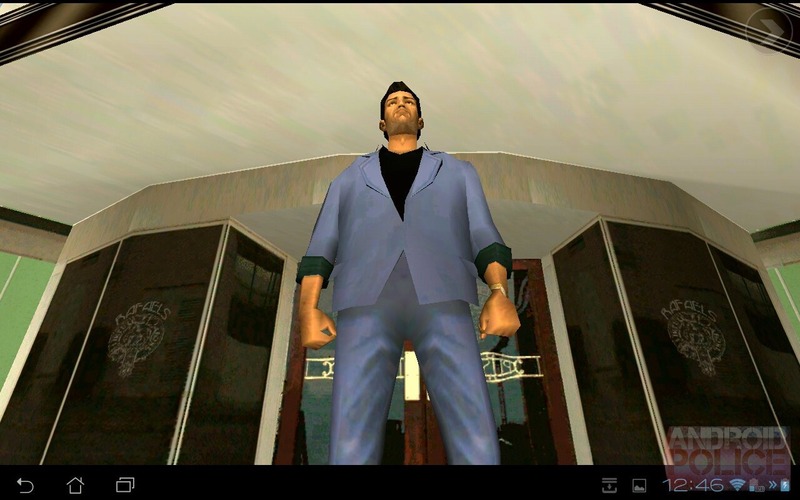 Compared to the older Grand Theft Auto III, Vice City adds of lot of depth, though it isn't immediately apparent. A wider variety of weapons and cars (including motorcycles and helicopters) are the icing on a surprisingly deep system of real estate and money laundering. Play through about half the game, and you'll be able to buy and upgrade property, which will in turn make you money. You can spend this cash on more and better hideouts and better gear. 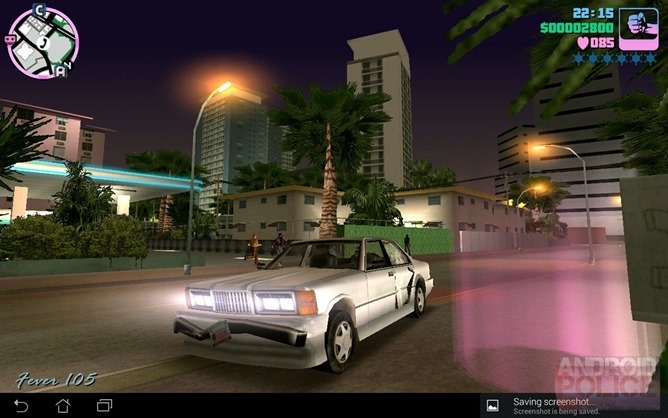 Combined with more collectibles and side missions than you can shake a 12-gauge at, Vice City offers about 30 hours of play time straight through, and at least 70 hours for completionists. But going straight through missions in this kind of game is almost missing the point. 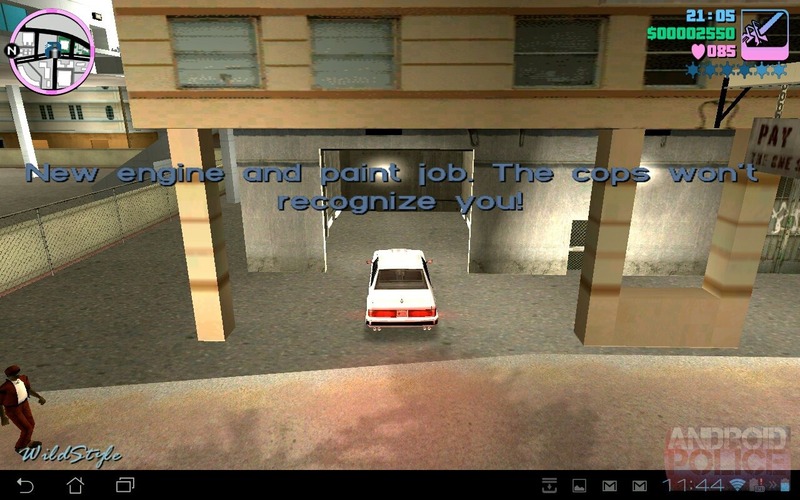 You'll find yourself hard-pressed to resist the temptation to crash cars, race tanks, try out the various challenges, and generally make the Vice City Police Department earn their money. The subtle and sometimes not-so-subtle humor that persists throughout the game should thrill the twelve-year-old in you (and make the adult in you feel kind of guilty). It goes without saying that between the graphic representation of criminal behavior and sexuality, this game is not meant for kids, and shouldn't be played by them. 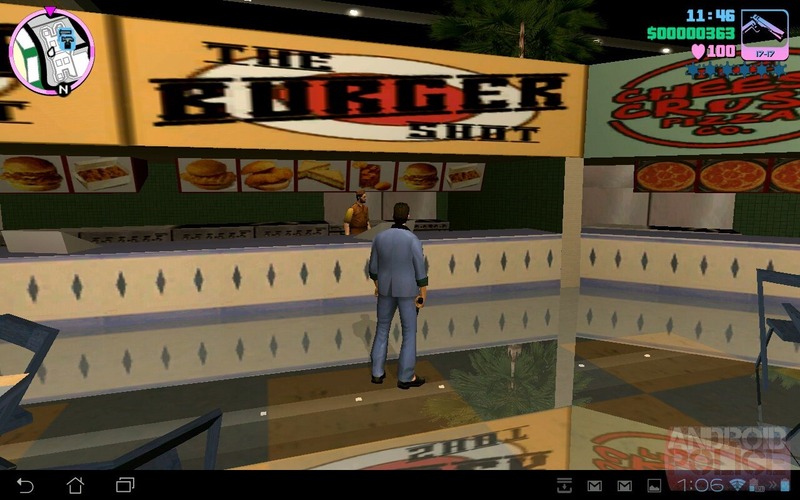 On a technical level, Vice City is somewhat behind the times. Textures are flat and boring, draw distance is nearly zero, and the human models in particular look like something out of a 90s game. These were forgivable back on the PlayStation thanks to the sheer scope of the game, but beyond a boost to resolution which is thankfully adjustable in the settings menu, there are no additions here. The game is, to put it bluntly, ugly, but at least that should make it easier for older hardware to join in the fun. 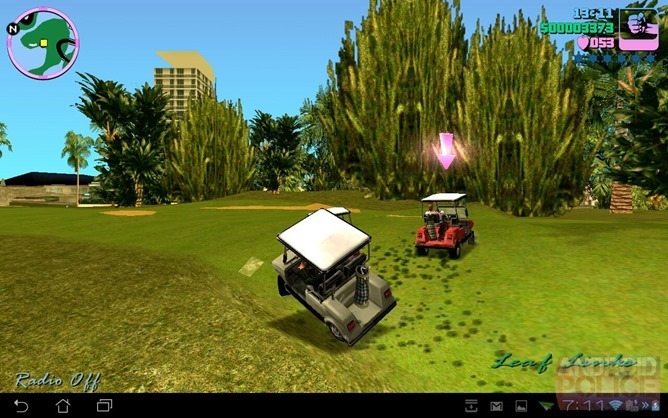 The screenshots in this review were taken on a Transformer Prime, with settings maxed out. On the plus side, this relatively low level of graphical sophistication makes the game run surprisingly well on Android. 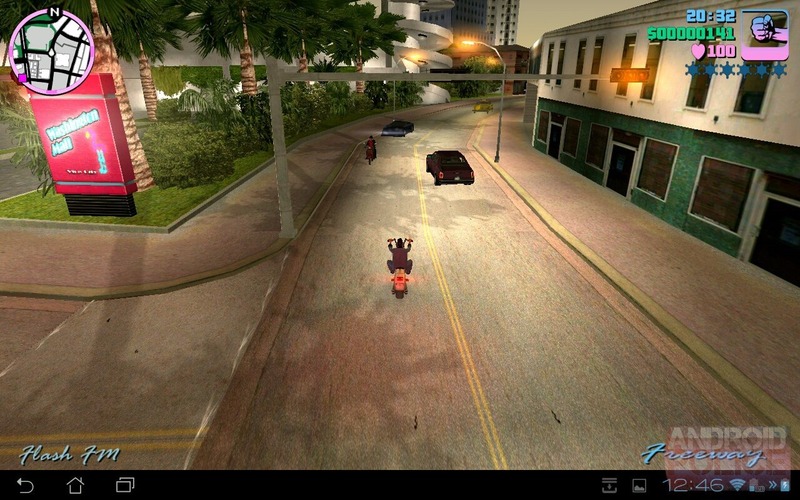 Vice City is faster and smoother on my tablet than it was on my dusty old Xbox, and as noted above, those who need a little extra oomph from their hardware should be able to adjust the virtual resolution of the game to fit. More annoying are the somewhat older gaming conventions present: the aiming and jumping mechanics are annoying at best, and downright ruinous at worst. The fact that your character dies almost instantly in water in a game consisting almost solely of islands is still incredibly annoying. These problems aren't unique to the Android version, but it's a bit of a bummer that Rockstar didn't address them in the translation. The highlight of the game's presentation, now as then, is the audio. Full voice acting was rare back in the day, and professional, dedicated attention to the characters was even less so. Combine that with Vice City's full compliment of period-correct radio stations (not to mention wildly entertaining faux talk stations) and you'd be doing yourself a disservice if you didn't listen to the game on a good pair of headphones. 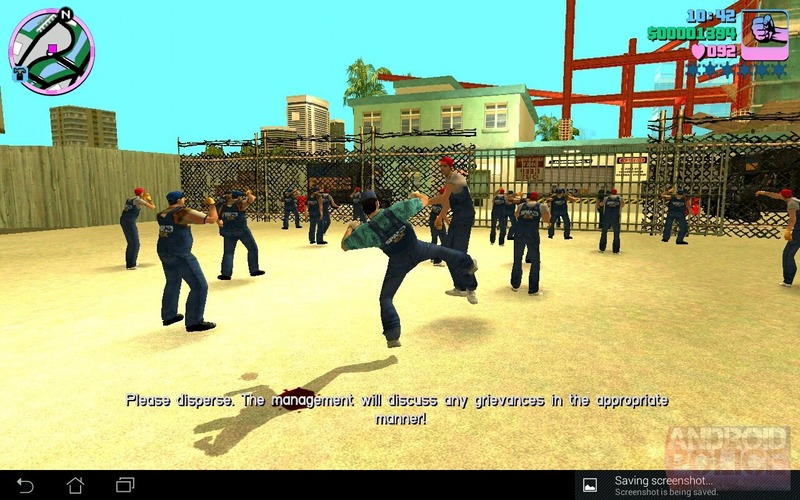 This is usually the point in the review where I lament a game's touch-based controls, and indeed, Vice City leaves a lot to be desired in this department. You can adjust the camera by sliding in the middle of the screen, but everything else is achieved by on-screen buttons - lots of them. It's a complicated game and requires a lot of fine control, especially in those sections where you're operating guns or flying vehicles. That said, the controls are responsive and fast, for the most part. I can't fault the designers for the complexity of the game, since simplifying the controls would require gutting a lot of actual gameplay as well. If you're patient and well-coordinated, you shouldn't find the touch controls a major barrier to your enjoyment of the title. 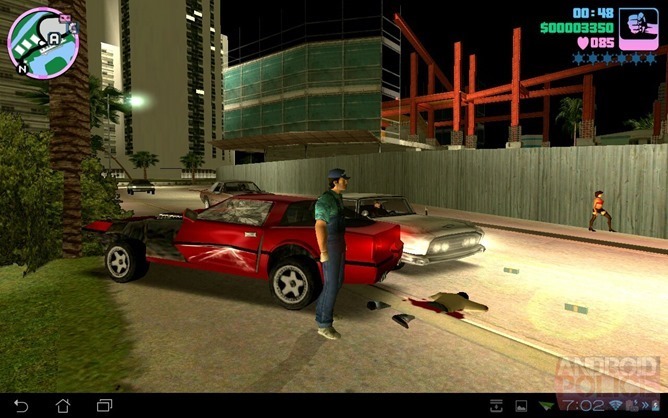 Of course, Grand Theft Auto is meant to be played with a gamepad. Knowing this, Rockstar programmed full gamepad support (including the PowerA Moga, for those of you who took advantage of the recent free promotion). After plugging in my Logitech gamepad, the virtual controls automatically disappear, and the familiar layout returns. There are a few hiccups; for example, there's no visual indication as to what to press to accept a phone call. But overall, it's a nearly perfect emulation of the classic gameplay. Throw in an HDMI adapter, and suddenly you're back in 2002 - with high-definition graphics to boot. 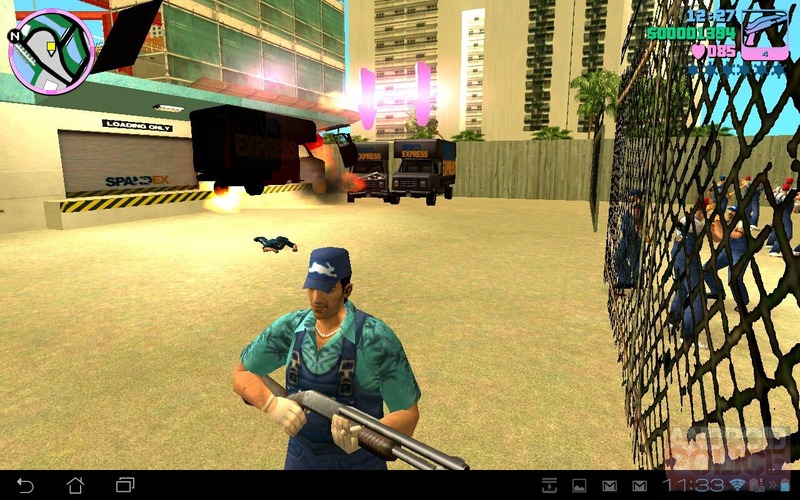 There are a lot of small problems with Grand Theft Auto: Vice City, most of which have been with the game since its original version. That means that it's not easy to play without a controller, and it will punish gamers used to more forgiving, modern mobile games. But for those willing to look past its flaws, the game is as engaging and enjoyable as it was a decade ago. More than that, it's a fantastic value. 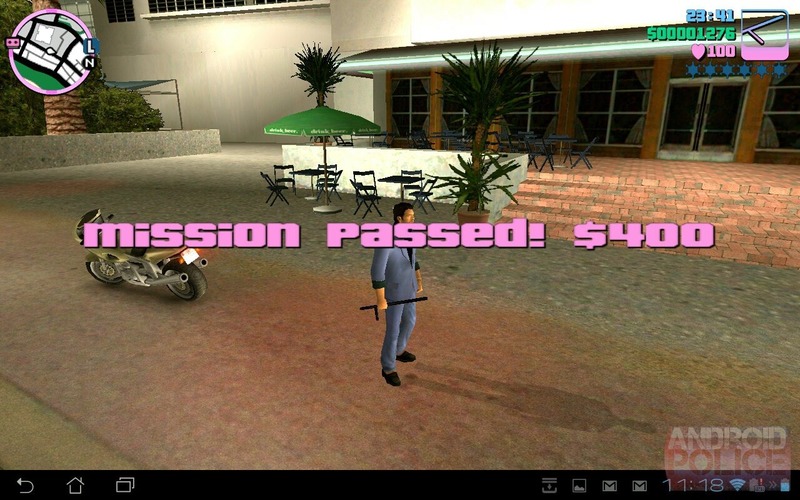 While five bucks is on the high side for an Android games, most games in the Play Store don't have the scope and breadth of Vice City, and they won't keep you going for weeks on end. If you're even a casual fan of Grand Theft Auto or sandbox games in general, Vice City is a must have. If not, wait for the game to go on sale (it almost certainly will at some point) and snag it then. You won't regret it.